My dream of becoming a mother came true in 2005 when I gave birth to my first-born son. However, the birth was not at all what I envisioned. The OB explained to me just moments after my c-section that my "pelvis would never tolerate a natural birth." Not only was I disappointed about my birth experience but my hopes were also destroyed of how I would give birth in the future. I questioned, I researched and I learned everything surrounding VBAC (vaginal birth after cesarean). I trusted my instincts, honored my body and continued on my journey to a hospital VBAC in 2007 and beautiful homebirth in 2010. I believe birth is strong and birth is sacred. It is a true honor to support women on a journey of their own. Alisa Okamoto is a certified DONA doula. She is the former co-leader of ICAN (International Cesarean Awareness Network) of San Diego and has had two VBACs of her own. A former teacher, Alisa has a Bachelors Degree in Studio Art and Masters Degree in Education. She is passionate about supporting women throughout their pregnancy and empowering women to give birth their way. Alisa lives in Encinitas, CA with her husband Cameron and three children Evan, Vivian and Vans. 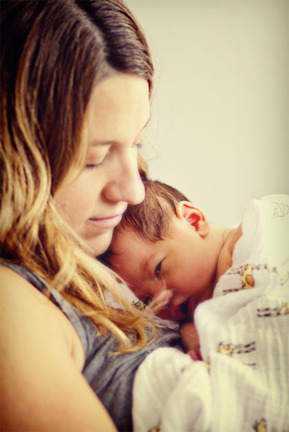 As a birth doula, I accompany women in labor to help ensure a safe and satisfying birth experience. I have completed training approved by DONA International. I draw on my professional training, knowledge and experience to provide emotional support, physical comfort and, as needed, communication with the staff to make sure that you have the information you need to make informed decisions as they arise in labor. I can provide reassurance and perspective to you and your partner, make suggestions for labor progress, and help with relaxation, massage, positioning and other techniques for comfort. I am independent and self-employed. As your doula, I am working for you, not your caregiver or hospital. I will meet with you and your partner at least once before labor to become acquainted, to explore and discuss your priorities, to discuss your birth plan and how we might best work together. I also want to know your own best ways of coping with pain and fatigue. I prefer that you call me when you think you are in labor, even if you do not yet need me. I can answer questions and make suggestions over the phone. We will decide if I should come right then or wait for further change. I usually need approximately one hour to get to you from the time you ask me to come. We will also decide where to meet. Except for extraordinary circumstances, I will remain with you throughout labor and birth. I usually remain with you for one or two hours after birth, until you are comfortable and your family is ready for quiet time together. I can also help with initial breastfeeding, if necessary. I am available to answer questions about the birth of your baby and would like to get together with you within a few weeks to see how you and your baby are doing, to review the birth and to get feedback from you about my role. *Fees are available upon request. Let's discuss your journey to birth. Thank you so much for your message. I look forward to connecting with you soon.